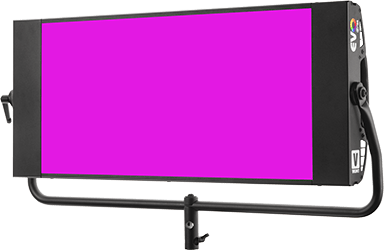 To achieve the best results the screen needs to be lit evenly, shadowless, with a uniform colour temperature and with the best possible colour saturation. Evenness is easily achieved using Thelight because of the soft quality of the light and the wide beam spread combine with its long throw. Getting a wealthy light level becomes crucial to achieve a clean image with minimum noise or grain. It is advisable to light with the optimum colour temperature according to the kind of camera sensor or film stock you are using. 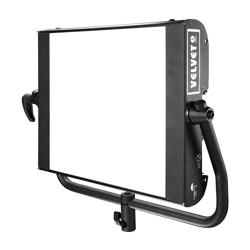 Secure a homogenous illumination over any kind of background becomes extremely simple with Thelight thanks to the great size of its luminance surface and by its capacity to open the beam while projecting the light at long distance with its fresnel lenses. 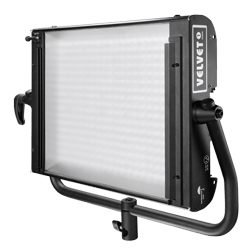 What are the real benefits of using THELIGHT to light chromakeys? THELIGHT fixtures can be remotely and DMX controlled letting you a total light control without using gels or scrims. You can digitally change light intensity, colour temperature and green/magenta bias to instantly adjust your chromakey light. What are the specific advantatge to light Green chromas? Thelight luminaries empower to add up to 1/4 plusgreen digital adjustment to supply a green tint on the light so that the green screen gets more colour saturation. What about the advantatges to light Blue chromas? 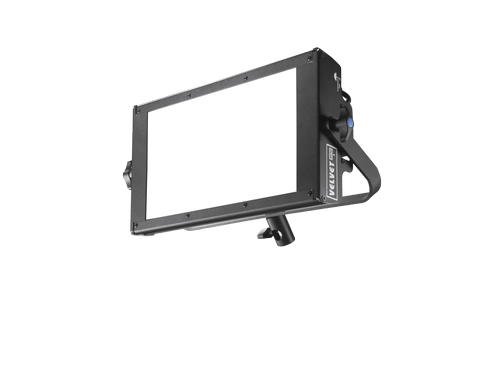 Thelight luminaries empower to adjust the colour temperature up to 8500 Kelvin to supply a colder light so that the blue screen gets more colour saturation. Power draw is reduced ten times over tungsten light and four times over fluorescent. The heat free light does not disturb the actors and cuts air conditioner cost. You need just a few fixtures to get a wealthy light level due to the high light output. The flat and portable lamp heads require minimum space on the set, transport and storage. There is no need to use corrections gels or scrims or waste time and money adjusting the light or replacing lamps. How does THELIGHT match with HD? THELIGHT high power LED luminaries have been specially designed for HD use: they deliver a high colour reproduction index (more than 90 CRI) to get vibrant colours and perfect skin tones and colour rendition to avoid any problem on post production. How do i place the light fixtures? Arrange THELIGHT fixtures 1 meter above the background and separate them 2,5 meters from it. Set up the 4LONG luminaries in its flat position along a row, separated 2 meters among them. Place the 6LIGHT luminaries among the 4LONG units. To get the perfect light evenness set every luminary at its maximum beam spread by twisting it outward and focus the light to the background at 45º. If you need to light a higher background or eventually get a higher light level you just need to add more light units or set a second row on the ground. How much light do i get? You get 1300 Lux of even light over a 3 x 3 meters background or 840 Lux over a 5 x 5 meters background. How do i expose the chroma backgrounds? If you follow the light scheme suggested by THELIGHT the T Stop stays uniform in all the illuminated surfaces referenced to a neutral gray colour of 18%. As general rule it is advisable to underexpose green or blue screens by 1 stop below the key light level. This means if you get for instance a F4 stop on the background you have to expose at F5,6 and light your subject according with that base exposure.